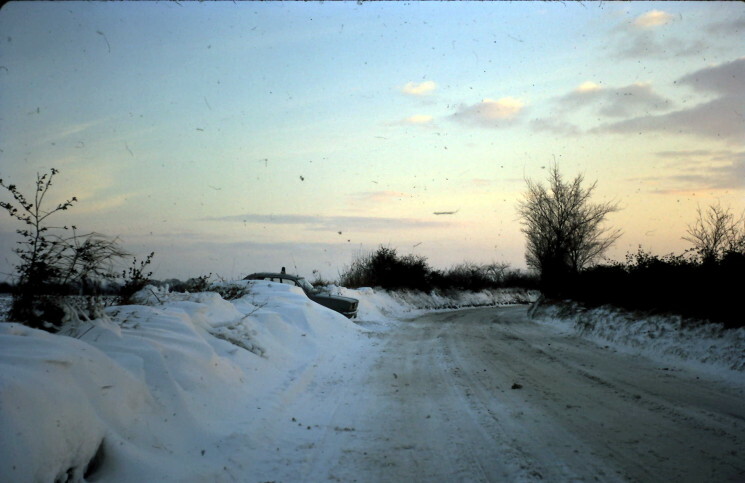 In November 1969 there was heavy snow. Officers on the Ware Rural Beat continued to work as normal: I can only recall one occasion on which cars were grounded – and on that occasion there was about a foot of snow. Even so, we still ventured onto the roads in order to pick up our relief and then return home. 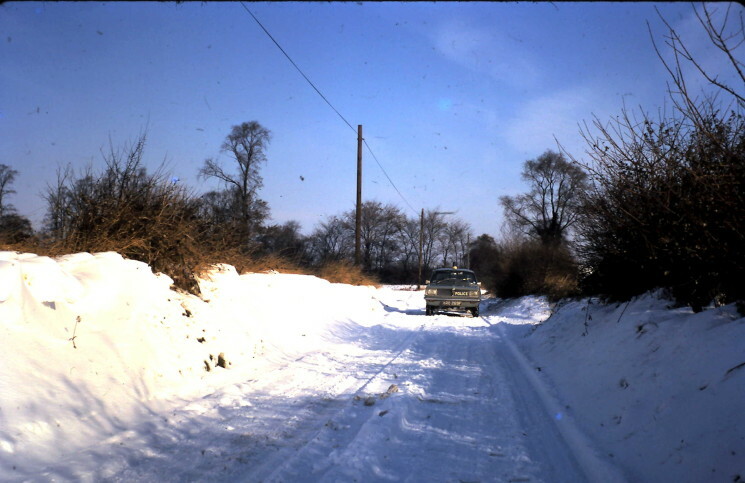 The pictures show the Vauxhall Viva panda parked amongst snow drifts at Widbury Hill, on the A119 (now the B1004) just east of Ware, and on a country lane at Nobland Green, northeast of Ware.